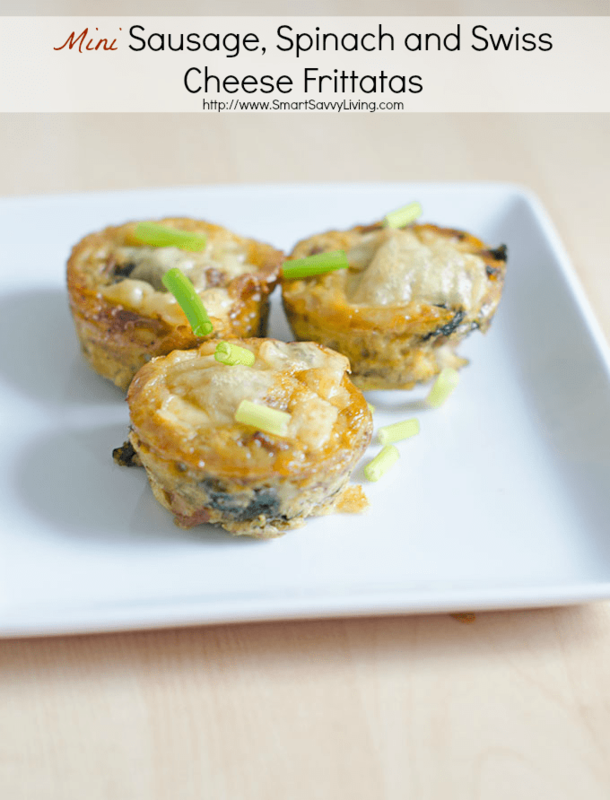 This mini sausage, spinach and swiss cheese frittatas recipe is part of a sponsored post written by me on behalf of Alpine Lace®. These past few weeks have been insanely busy with us moving, even though it’s in the same city. I don’t think it’s possible for moves to be simple and easy no matter how close or far away you’re moving. We’ve finally gotten everything moved, though, which has been a huge relief. It’s so nice to be able to enjoy our new home, but we have been having a ton of takeout and fast food the past several days because neither of us have felt like cooking and most of our stuff is still in boxes. Did I mention that I was super smart and managed to hurt my back when packing to make things even more fun? Sigh. As you guys know, I love to cook, so I have been craving “real food” like crazy. Luckily, I’ve finally been feeling a bit better and able to stand on my feet for more than a couple minutes at a time, so it was time to get to cooking again. 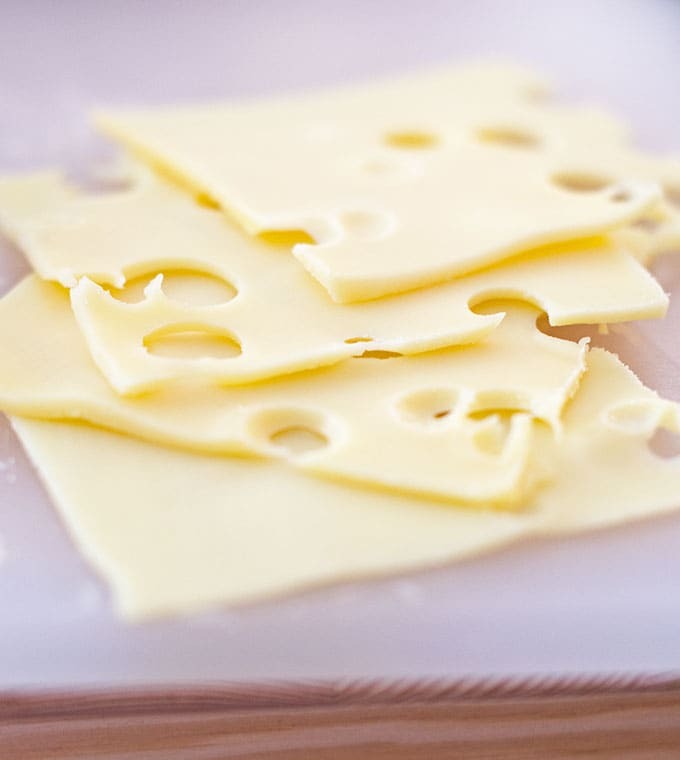 It just so happens that Alpine Lace® had recently asked me to give their reduced fat swiss cheese, one of my favorite cheese varieties, a try, so I immediately began brainstorming what dish I wanted to make. I first thought of grilled cheese or a club sandwich, which are both one of my favorite ways to enjoy cheese. But, I wanted something a bit more hearty and protein packed that I could make a bunch of to last us throughout the day as a meal or snack. So, I settled on something Mr. Savvy has been craving for a while now, frittata. Mr. Savvy usually makes frittata, but he has been such a trooper the last couple of weeks while my back has been out and hurting that I wanted to surprise him. I decided to make a 3 s’s frittata, so I whipped up a simple mini sausage, spinach, and swiss cheese frittatas recipe in my head. Normally you bake frittata in a huge skillet, but it can take a long time to bake and it can be kind of awkward to store and reheat, so I love the mini frittatas. They’re easy to make (and eat! ), and can last a few days in the fridge as a low carb protein-filled meal for any time of day or snack. Plus, they easily reheat in the microwave, though I think they’re also good cold. I love the extra flavor punch that the Alpine Lace® reduced fat swiss cheese adds, plus who can resist lightly browned and bubbly cheese, right? It pairs so nicely with the hearty breakfast sausage, and the spinach adds a nice bit of color and extra nutrients, of course. I love how great ingredients like this help give me fuel I need to get through the day, even when I’m not at 100%. After you check out the mini frittata recipe below, head on over to AlpineLace.com to find out what other great cheeses Alpine Lace® offers. These mini sausage, spinach and swiss cheese frittatas are great for every meal, snacks and even entertaining! In a large skillet, brown sausage over medium to medium-high heat until cooked through. Remove sausage to paper towel lined plate to absorb extra grease, leaving most of the grease in the pan. If your sausage was on the lean side, you may need to add a drizzle of olive oil. Cook onion and spinach in reserved sausage drippings until soft. Season lightly with salt and pepper. Beat eggs with cream in medium bowl until thoroughly combined. Stir in sausage and veggies. Season with salt, pepper and cayenne to taste. Spoon about 1/4 cup of mixture into each muffin cup. Cut each slice of swiss cheese into fourths and place one square of cheese on top of each filled muffin cup. 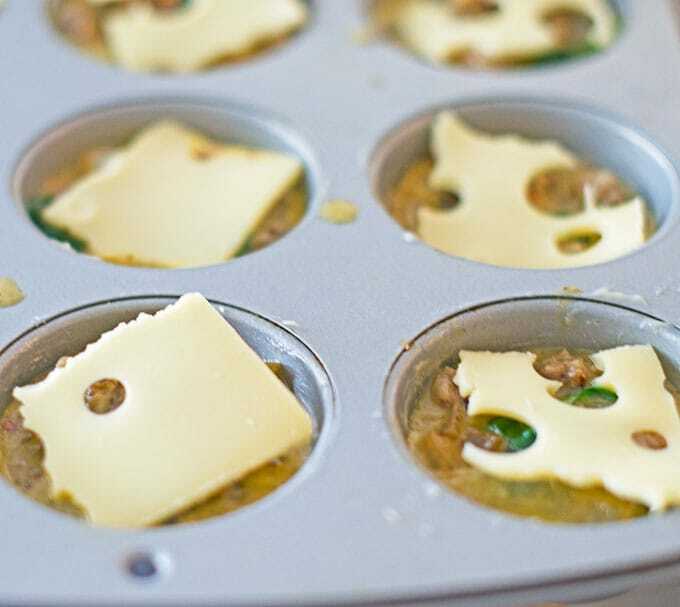 Bake in preheated oven until cheese is bubbly and frittatas are set in the middle and lightly browned, about 20 - 25 minutes. One cooked, remove frittatas from oven and allow to cool for about 5 minutes. Remove from muffin tins, sprinkle with green onion if desired, and serve immediately or allow to cool. I find it easiest to use a fork or spoon to lift them out. You can also add in other vegetables like mushrooms, asparagus, peppers, etc. Those look so good and pretty easy to do. Love the cheese on top and the green onions. Oooooo these look yummy! My kids love food in “cupcake” or muffin shape, so I wonder if they’d try this? I love making things like this. I pinned for future reference. The problem is I am too lazy to do this for breakfast but lunch would be great! I love anything with spinach! &They are so cute! What’s not to love about these… I love all those ingredients and the flavors together sound divine! That looks so good! We love Apine Lace Swiss cheese here too and use it on sandwiches or for snacks all of the time! These look delicious! I love eggs in the morning and I bet these would be perfect for freezing to eat on busy morning. Thanks! I love Swiss cheese! I just put this brand name on my shopping list so I can try it. This recipe looks delicious. If the cheese melts over the spinach maybe my husband will unknowingly eat spinach. Thanks! 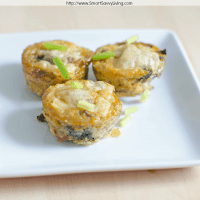 I’d love to try these with Muenster cheese!